In order for us to ensure that your party runs smoothly we will require a telephone & email contact from you. It may be necessary for us to contact you regarding the party arrangements in the run up to your event, we will not use this information for any other marketing purpose and will not share this information with any third parties unless your consent is given. 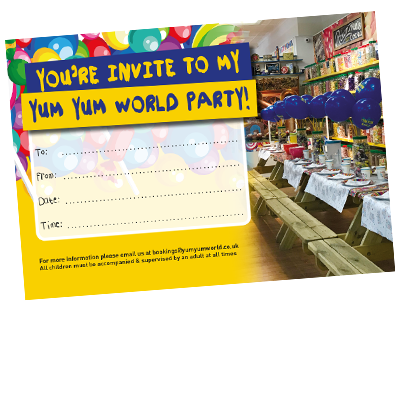 To help with the planning of your party why not download our party invite to print at home? Click on the image below to begin downloading a printable version.